At Zacks Eye Clinic in central London we see several patients with complex prescriptions who benefit greatly from Hybrid contact lenses. Hybrid contact lenses have a rigid gas permeable centre surrounded by a soft lens skirt. This combination of hard centre with soft edge provides visual clarity equivalent to a rigid gas permeable contact lens with the comfort of a soft contact lens. There are many types of hybrid contact lenses available including multifocal designs to give clear vision at distance and near for patients with presbyopia. Hybrid contact lenses are invaluable for patients with sensitive eyes who cannot tolerate the sensation of rigid gas permeable contact lenses, but require the stability of a rigid contact lens for clear vision. This is especially important for patients with distorted or irregular corneas such as with Keratoconus or following corneal surgery. Hybrid contact lenses have also proven to be a great solution for patients with a high or irregular corneal astigmatism, especially in cases where excessive lens rotation and fluctuating vision have not been tolerated with alternative soft contact lenses or rigid gas permeable contact lenses. The Synergeyes range of hybrid contact lenses is especially popular. As well as the regular range of Synergeyes contact lenses, we fit the Synergeyes Ultra-Health range for keratoconus and Synergeyes multifocal’s for presbyopia. Recent advances in manufacturing techniques mean that we now also have the option to tether a soft skirt to several other rigid gas permeable contact lens designs to give improved centration and comfort. 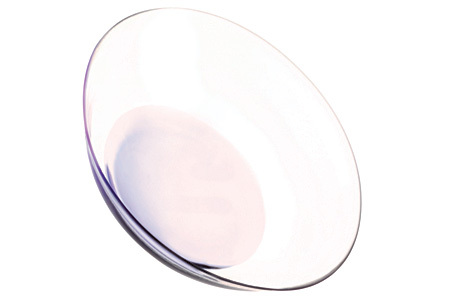 Most hybrid contact lenses, should be replaced every 6 months due to the soft part of the lens expiring. Once the fitting is complete, we can provide a tailored payment plan to spread the replacement contact lens costs by monthly direct debit. For more information on hybrid contact lenses or to find out if they are suitable for your eyes, please get in touch to make an appointment for a consultation at our London practice.